Simon Bucknall, based in London UK and travelling internationally, offers a range of sessions to suit your team, audience or organisation. Are you serious about taking your personal impact to a new level? Got a 'reputation-critical' presentation to deliver? Wanting to establish your credibility more effectively? Had enough of feeling nervous every time you have to stand up and speak? Invite Simon to deliver a course for you and your people! Rest assured, Simon has done his 10,000+ hours in public speaking - and then some! "People in leadership positions have to take this course." "I would say that Simon has changed something in my life. His course is one I have been waiting for a long time." "The best course I have ever attended. I definitely recommend it." "In the last 10 years I have never devoted so much time to a course as this one. This is due to the quality of the presenter, Simon, who was extremely impressive as a speaker and also very personable, genuinely interested in helping participants, which made the experience enjoyable." 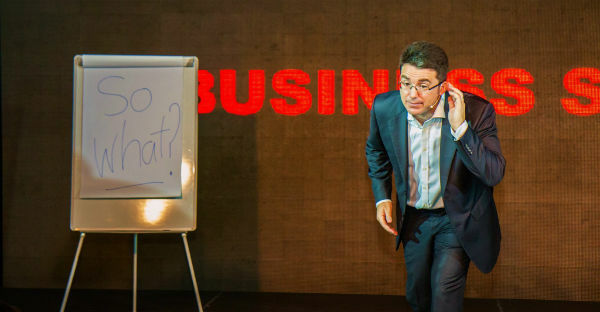 "If there's one man who can make public speaking sound easy, it's Simon Bucknall." Simon delivered masterclasses and coached several contestants from the Chivas Venture 2016, 2017 and 2018 groups on public speaking skills. May 24th 2018 he coached the 5 ultimate finalists prior to each delivering their pitches to an audience of 2,500+ in Amsterdam resulting in $1 million awarded between them. First place: Cemal Ezel, Change Please. Congratulations to all! I was blown away by how the Top 5 Chivas Venture finalists stepped up in front of 2,500+ people, following their work with you." "In helping us prepare for a series of investor-critical presentations, Simon worked one to one with our entire team of speakers over several months. He made a huge difference, helping them speak with a confidence I've not seen before. Key stakeholders from the audience made a point of commenting on how impressed they were by the value and impact of the presentations. Simon has made a significant and permanent difference to our people's effectiveness as speakers." 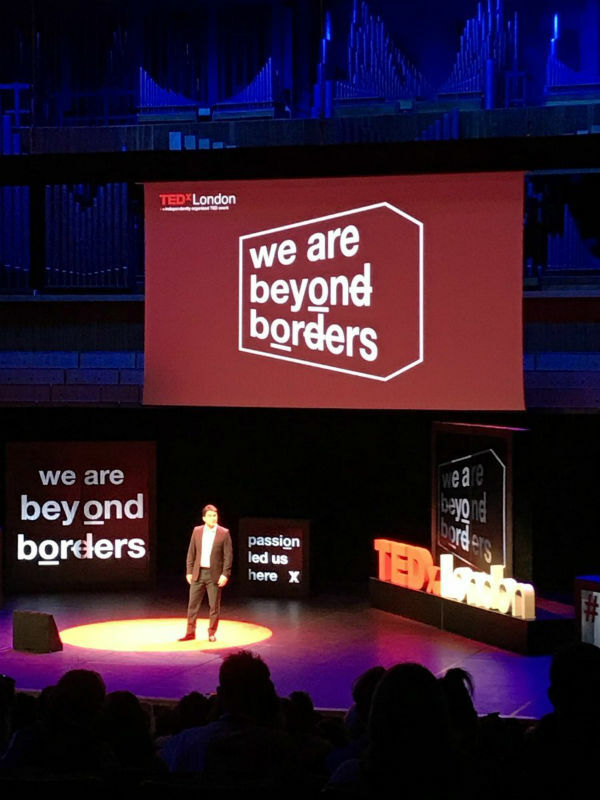 "I first worked with Simon to create a personal impact programme that has been so successful that we are now running the event for a sixth time." "THANK YOU again for last week's sessions. What I've appreciated most has been the increased thought the team has been putting into how they come across and what they say. Colleagues in other teams have already commented on the improvement in both skills and confidence." "Very interactive - the tone you set meant audience members were really engaged. I can understand why you get such great feedback for these sessions!" "Simon really inspired our teams in the UK and USA, helping them become more compelling with customers." "Effective presenting is about inspiring some form of change on the part of the audience." "THANK YOU so much for your recent session in Germany. It gave me so much and I've already had the opportunity to use what I have learnt. I had a big test in Poland last week when I had a one hour presentation to deliver. Applying your tips gave me the feeling of greater respect from the audience. I also got very positive feedback afterwards. I'm so looking forward to learning more when we next meet, in Brussels!" "During his sessions in both Brussels and Potsdam, Simon quickly established a strong connection with all of the EWA participants. In addition to providing technical guidance, Simon enabled the EWA participants to discover their own unique motivation and courage to speak more confidently, powerfully and effectively. In over 20 years of working in international politics and training candidates, I have never seen a more remarkable improvement in speaking abilities in such a short amount of time." "Generated great feedback and strong engagement. 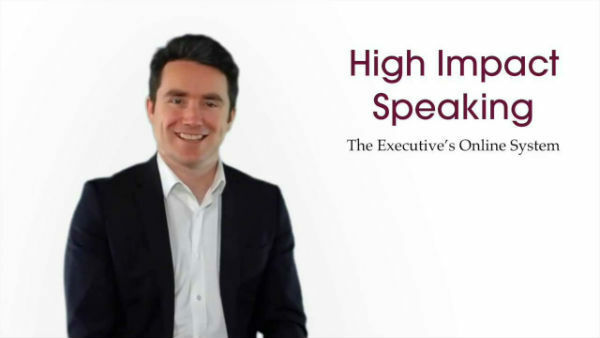 Simon understands how to tackle communication issues that senior executives face." "Thank you for a wonderful session. Feedback is frighteningly good!" "Fantastic, inspirational and spot-on stuff we need to improve our communication." 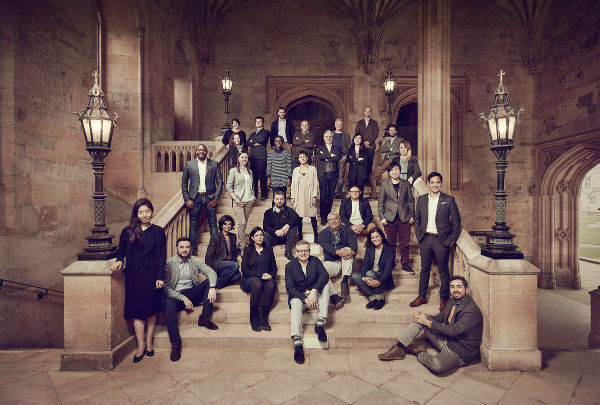 "The Blavatnik School of Government [University of Oxford] is dedicated to a world better led, served and governed. These aspirations depend on a deep ability to communicate and connect and we are incredibly fortunate to have Simon guiding us on a range of techniques and skills. His experience, counsel and passion are all hugely appreciated by decision makers from across 70 different countries." 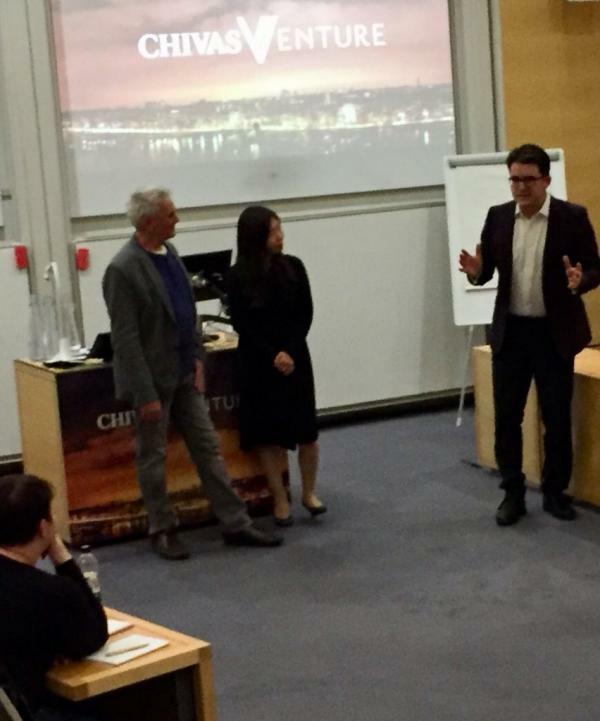 "I had the great pleasure of following Simon Bucknall's public speaking training at University of Oxford recently. What a pleasure to see such a professional in action. I have followed public speaking trainings before, including for when I was running for a seat in parliament. But Simon is in a class of his own. He is public speaking. We left the training empowered and we can't wait to put his lessons into practice." 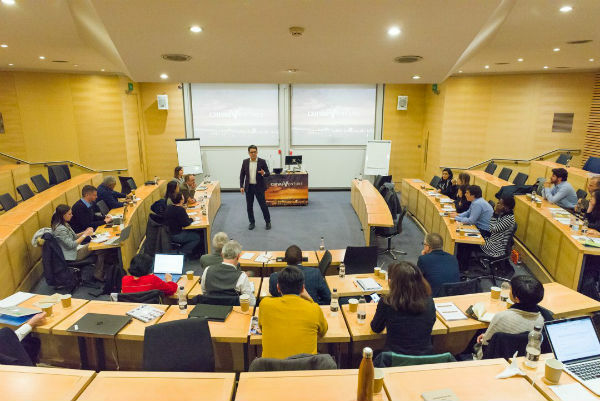 "I just wanted to say thank you for a truly amazing workshop at LBS [London Business School]. During my eight years at different universities, we received several presentation and communication trainings but this was by far the best and most useful one." Simon delivering opening speech "Why Public Speaking Should Be Taught In Schools"
"Your training at Rosendale [school staff] was excellent and massively improved my public speaking. It has helped develop my communication skills in ways that go far beyond addressing audiences. The training equipped me to speak, both publicly and privately, with greater assurance and poise. Simon's approach has helped me structure and express my ideas in a concise and clear way. Even four years on, it remains the most useful training I have ever had at work - the impact on my career has been huge." "Simon has run presentation classes at New College of the Humanities for four years. His seminars are consistently amongst the most popular and useful parts of the student experience at NCH. The NCH model is very unusual for a university in that it blends a conventional academic programme with development of the capabilities that will be required by students on graduation. Simon's counsel on the development of this model has been invaluable. He is a good friend of the college." "I attended Simon's public speaking coaching sessions at the Said Business School, University of Oxford. Simon led by example and provided clear tips on structure, inserting words, leading with stories and stance. Now I can sense the distinct uptick in engagement in a room of diverse nationalities and backgrounds. I can also prepare far more comfortably around my key messages and theme. I hope to keep practicing and coming back for more sessions to continue progressing." "Empowering. Enjoyable. Valuable. Brilliant course... my public speaking has improved, but general communication improved even more. I would be much more comfortable standing up and presenting either formally or informally, both in terms of personal presence and how I would structure what I am going to say for maximum impact." "Extremely helpful. Helped me identify flaws in my delivery which I never thought existed." "Personally speaking, very few trainers that I've come across have impressed me. Simon Bucknall's sessions not only impress but also bring that change in a personality that you always thought was lacking... he is a guaranteed booster to your confidence." "Amazing masterclass that allowed me to improve my communications skills and raise self-confidence while public speaking. Great thank you to Simon and KA Group." "Simon, you have this amazing ability to captivate the audience that makes your sessions such a pleasure to attend! I thoroughly enjoyed the session and picked up some very useful tips to improve my presentation skills; the feedback from my colleagues has been extremely positive as well." "In 2018, Simon coached me with public speaking, style, helped write my pitch, and gave me every imaginable tip to manage my nerves, present with esteem, conviction and win over the audience - with his help I went on to pitch to 3,000 people and win the World Social Enterprise competition. I cannot recommend him more highly to any CEO or senior executive looking to perfect their speaking and win over the audience." "Working through this video program has made a huge difference to my speaking. After my conference presentation, I had so many executives telling me, 'I want you to come and work for my organization'. It just goes to show the power of impactful speech...I can't count how many people told me my presentation was THE best." "I just wanted to say thank you for a truly amazing workshop at LBS [London Business School]. During my eight years at different universities, we received several presentations and communication trainings but this was by far the best and most useful one." But Simon is a class of his own. He is public speaking. "Simon delivered an outstanding event on how to prepare an Elevator Pitch in a concise and memorable way. The event was engaging and our membership loved it! We had 100% success rate and people rated the event as the best ever. Many comments highlighted the virtues of Simon as a speaker. We had requests from other areas to replicate this event elsewhere as they felt inspired and energized by Simon. Now I can sense the distinct uptick in engagement in a room of diverse nationalities and backgrounds. I can also prepare far more comfortably around my key messages and theme. I hope to keep practicing and coming back for more sessions to continue progressing." "THANK YOU again for last week's sessions. What I've appreciated most has been the increased thought the team has been putting into how they came across and what they say. This is due to the quality of the presenter, Simon, who was extremely impressive as a speaker and also very personable, genuinely interested in helping participants which made the experience enjoyable." "Excellent! Simon managed to balance everyone's needs. By making it highly interactive, he made everyone really practice and improve." "Very interactive - the tone you set meant audience members were really engaged. I can understand why you get such great feedback for these sessions!" "Simon's workshop on Creating Impactful Communications generated great feedback and a strong level of engagement with the audience. It was clear that he understands just how to tackle a number of the communication issues that senior executives face throughout their careers. He offered valuable insight and some clear messages that a broad range of participants could assimilate and easily apply to improve performance in their own particular business environment. "Excellent trainer, the content was relevant and engaging. I will take a number of tools and frameworks to use. Highly recommended." "Worth attending, very useful. Will definitely make a difference to my future presentations. Thanks very much." "I think this course will dramatically change my approach to preparing talks and influence my prior reluctance to take on any talks/teaching." "It was very useful and everything is applicable. I learned a lot of useful things and heard excellent stories." "All the tips were easy and ready to apply in everyday life from the very next day. Thank you very much. I found answers to all my questions, practiced my executive presence and know exactly the points of improvement." "Amazing masterclass that allowed me to improve my communication skills and raise self-confidence while public speaking. Great thank you to Simon and KA Group." "The sessions were of great value. I am confident that I will apply the knowledge and skills learned not only in making formal presentations but during staff meetings and one-to-one conversations. Understanding that the audience must see value to THEM early during my presentation is of the greatest importance." "The school is at the start of an ambitious journey. You have helped us set the standard for the remainder of the year and further ahead. I hope you will return to the School in the future and inspire subsequent cohorts of MPP students." If there's one man who can make public speaking easy, it's Simon Bucknall.